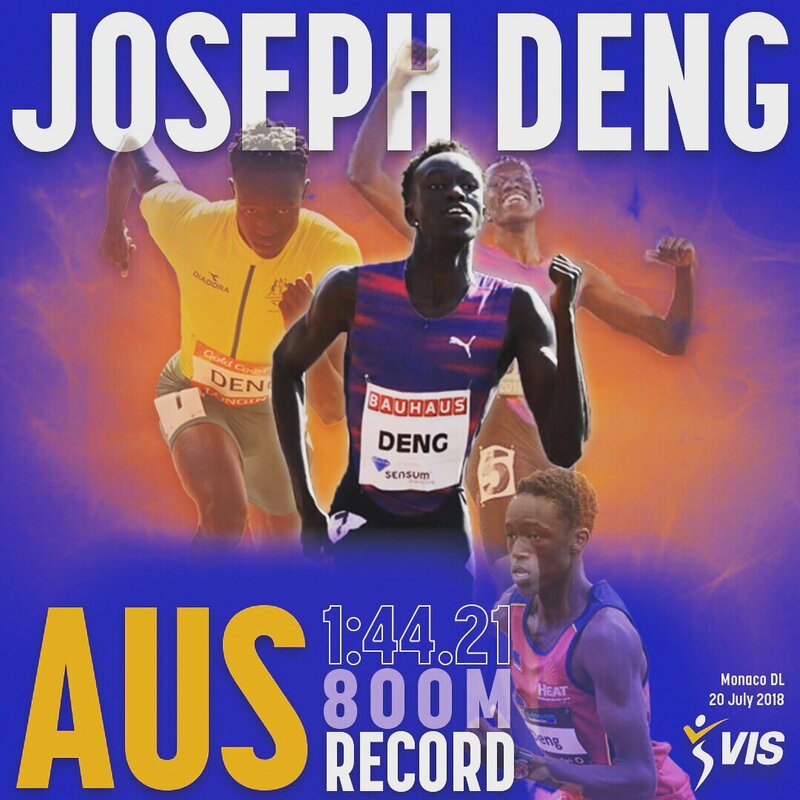 Joseph Deng (Class of 2016) has broken the Australian 800m record in a Diamond League athletics meet in Monaco. Deng finished seventh in the race won by Botswanan Nijel Amos but his time of 1:44.21 broke the 50 year old Australian record of 1:44.40 set by Ralph Doubell at the 1968 Mexico City Olympics and equaled by Alex Rowe in Monaco 46 years later. The year has been an encouraging one for Deng who represented Australia at the Commonwealth Games on the Gold Coast where he made it to the final. Since then Deng has been training hard with coach Justin Rinaldi and had been on the cusp of beating the record with finishing under 1 minute 45sec four times in the past 47 days. The race was the final event for the athletics season and Deng will now return to Australia.